The thing that makes dumb quotes so fun is that they're easy to relate to. We all say things that don't come out quite like we intended. Sometimes we know it as soon as the words leave our mouths, sometimes not so much. Either way, the dumb quotes posted on this blog are definitely a case of laughing with, not at, people. Stay tuned for more quotes at random times. Quote for the day - Reading makes me feel like I've accomplished something, learned something, become a better person. ...Reading is bliss. Almost like magic, don't you think? Ya wanna talk about so many dreams? This thing definitely looks strange and certainly sounds too good to be true, but if it works? How cool would that be? Too bad Naperville, Illinois is so far away from California. I would sign up for a session in a second. It's a Zen Bed. This is almost too sweet to be true! Who is going to write their novel? You may have read these words before, but repetition of good things is a good thing. The first version posted is attributed to Mother Theresa (great woman!) and reportedly hung on the walls of her home for children in Calcutta, India. Some say they were even hung in her own room. There's another version, by Kent Keith, that is said to be where she got her inspiration. 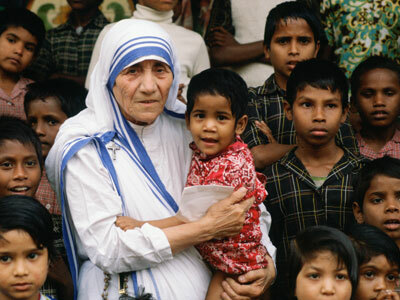 How would you like to be known as an inspiration to Mother Theresa? I've included both versions. He was only 19 when he wrote this! Happy side note: I have a partial request from a publisher for my manuscript! As my son put it, it's like getting a callback. If they like my first 100 pages, they'll request the full. If they like that, they'll make an offer on it. If they don't like it enough to offer on it, then at least I know it was good enough to generate some interest. I'll keep you posted. Oh my goodness, you have to see this. This man completely shatters most of the world's beliefs about what it means to get old. When is it time to stop looking forward? Never. How old is too old embrace a new dream? Apparentlly that age doesn't exist. This man is inspiring on so many levels.